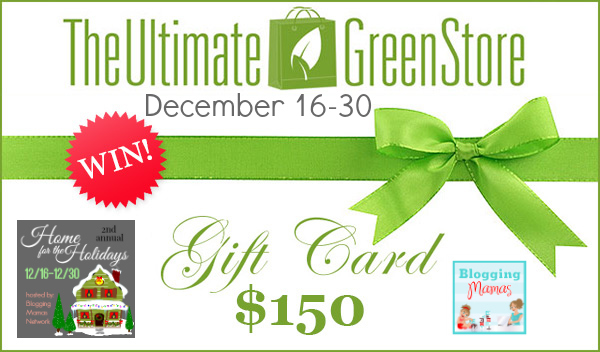 For this giveaway, one lucky winner will receive a $25 Marshalls gift card! I don’t know about you, but I can spend hours there. Between the decorations, bedding and cooking section it’s like entering a black hole. Time no longer matters! I’ve never shopped there before but would certainly love to! I would probably head to the home department! I love Marshall’s shoe selection! Yes, I love to shop at Marshalls! My favorite department is the Children’s clothing! I shop at Marshalls constantly! I love the home goods section! I shop at Marshall’s all the time and I love the kitchen department the most! I shop at Marshalls all the time, I love all departments, like clothing, electronics and housewares. I shop there occasionally in the women’s and household goods depts. My favorite departments at Marshall’s are the pajamas and the pet stuff. I also love to look through the food aisles for unique snacks or drinks! I shop there sometimes. I like the makeup and perfume counters and I like the purses they carry though. I like the womens and kids shoes section, especially the sales. Do you shop at Marshalls? What’s your favorite department? Yes, I shop at Marshalls! My favorite department is women’s clothing. Yes we do! My favorite is the clearance section and baby section and toy section! I don’t shop at Marshall’s. I might look there for a new pair of sneakers. I do shop at Marshall’s. I like the shoe and clothing department. A new Marshall’s opened near my house. I will shop in the petites department. 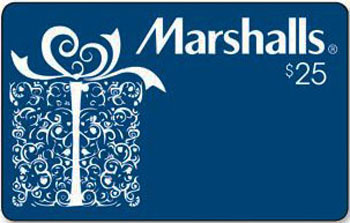 I’ve never shopped at Marshalls before so I am looking forward for the chance if I win. Happy Holidays! I shop at Marshall’s and I love the active wear department. I love shopping at Marshall’s because I love the price and the great deals. I have not shopped at Marshalls in a very long time. I think it has been years. Love shopping at Marshalls, especially the dress section! There isn’t a Marshall’s near me, but it is one of my sister’s fave stores. Pretty sure the shoe department is her fave. This would make a great christmas gift for her. on occasion!! i love the baby section! I shop at Marshalls- i love the shoes and homegoods departments. I have been to the one by my sisters house a few times and enjoyed the baby section and the shoes section. I love shopping at Marshalls! I love the accessories and beauty sections! Yes, I shop at Marshalls. My favorite department is handbags. Yes I shop at Marshalls and I love their womens clothes! My daughter shops there, she loves the shoe dept. I love their clothes. They have a really great selection of clothing for great prices. I do shop at Marshall’s I like their women’s clothing department. I love their dress selection and their kitchen department! I shop at my local Marshalls a lot! Love the womens clothes and the active wear for my teenage boys! Love to find a brand name bargain. They have a great kitchen department. I love the clothing department at Marshalls. I enjoy Marshalls. I especially like buying my pup toys. I do shop at Marshall’s. I like to shop the women’s clothing department. I do shop at Marshall’s and I love their clothes……women’s and kids! Yes, I shop at Marshalls! I find that a lot of their clothes are too………well, polyester? LOL I do NOT do polyester, no way! But I LOVE love love their housewares and linens section! I find a lot of gorgeous décor items too. I do shop at Marshalls. My favorite department is the Women’s Clothing Department. I love the shoe department. I haven’t been to a Marshalls, but I would love to check it out. I do like Marshalls. I like their handbag section and their housewares. I love the women’s clothing! I love Marshall’s! I love their shoe and athletic wear sections the most, as I always find great items in both. Oh, I certainly do buy at Marshalls. I go there for personal care products, food products and knickknacks. I love to shop at Marshalls, I like the pictures section. I like Marshalls. My favorite is the shoe department. I have never shopped at Marshall’s but I would like to check out their children’s department. Yes, I shop at Marshall’s. I like the shoe department. Love to shop at Marshall’s. Favorite department is the housewares! I love to shop at Marshall’as, especially in the housewares department. I lie the Juniors department at Marshalls. No, I’ve never shopped there before. I have shopped here before and bought shoes. I find a lot of clothes at great prices. I also love to shop in the kitchen section. I do shop at Marshall’s and shop the women and kids departments. Thank you!! Yes, I do shop at Marshall’s, and can find some great deals! I like to shop in their shoes dept. I do shop at Marshalls and my favorite department is the food and beverage area. I have only been in Marshalls a couple of times but I am sure that my favorite section would be clothing!!! Yes, I LOVE Marshall’s! I could spend hours there browsing and my favorite department is housewares. Yes, I love Marshalls! I spend hours in the Kitchen section. I love Marshalls! I’ve found great clothes, shoes and jewelry, but I have to admit that kitchenwares is where I always head first! I shop at Marshalls – the bath department is my favorite. They have gorgeous towels and accessories at great prices. I love Marshalls and I like the home section. I love marshalls. I love the clothing. My favorite department is the purses. I bought two as gifts this year. I get to Marshall’s every now and then. I like the clothing department. It has been a while since I was at a Marshalls, but I do remember that they actually had some nice looking clothese that I can wear. I have shopped there! They have really nice shoes! Maybe that department is my favorite! I don’t shop at Marshall’s but I like looking in their store at clothes and shoes. I like the women’s apparel section. I’ve been to Marshall’s a few times. They have a great selection of women’s and kids clothing. LOVE shopping at Marshalls and my favorite department is the shoes!!! I haven’t shopped at Marshall’s, but I love all the kitchen goodies at TJMaxx! I have never shopped at Marshall’s before. I have shopped at Marshalls, I love buying clothes there. I don’t think I’ve ever shopped at Marshalls before, but I would love to check out their clothing. I shop at Marshall’s occasionally. I do shop at Marshalls and I love the kitchen section. I love shopping at Marshalls for the value, especially in the baby department! I shop at Marshalls. They have a great men’s department. I love shopping at Marshalls, especially the housewares department! I love walking through the home goods, especially all of the foodie and kitchen items. Yes, I shop at Marshall’s. Their household section is my favorite. I lose all track of time in that store! Yes I shop at Marshalls mostly in the home department. Yes I sharp at Marshall’s. I shop in the woman’s clothing most of the time. I love the shoe dept at Marshalls! I haven’t yet. But will when our Marshall’s opens in January. Never shopped there but I need new boots so shoe department! sometimes, I love their shoes! I have shopped at Marshall’s. I like the houseware department. Hi! I haven’t shopped at Marshall’s in a long time, but my favorite department is the home goods. There’s always cool and unique items. Thank-you for the fun chance!! I love Marshalls, especially the housewares! I do shop at Marshalls. I usually shop for clothes, shoes, handbags etc. I shop at Marshalls in the clothing departments!! Yes, I do shop there! I love the purse section, shoes too! I love shopping Marshall’s. My favorite department is the home goods such as dishes, ccokware and bedding. They always have so many unique finds at prices I can afford. I do shop at Marshall’s and love the great prices. My favorite department is probably the shoe department. Yes, I shop at Marshalls. The shoe department is my favorite. I don’t shop at Marshall’s often, but when I am there, I always check out their handbags and totes. I shop at Marshalls on occasion. My favorite department in the store is home decor. I love shopping at Marshall’s and my favorite department is the home decor and accents. I love Marshalls and shop the childrens clothes dept the most! I love the shoe section at Marshalls! I do shop at Marshalls, though not quite as often as I might like. My favorite department is home decor and housewares. I love shopping at Marshalls. I love the clothing dept the most. Yes, I shop at Marshalls. My favorite department is the home goods. I haven’t been to Marshall’s in a few years, but I used to love the women’s clothing section! I love to shop for cloths at marshalls. thanks for the chance. I have never shopped at a Marshall’s before. Yes, I shop there. I love the women’s department. i love shopping in the women’s sale dept and the handbags!! Yes I shop Marshalls and I love their home items section. I shop at Marshalls and my favorite department is the shoe department. I do shop at Marshalls and I love their shoe dept. I do not often shop at Marshall’s. My favorite department is the tie department. I shop at Marshall’s and I love their purse department. I like the home goods department the most. I love shopping at Marshalls, but I haven’t been there in a while. I love their women’s clothing department! I love that Marshall’s has Happy Socks for discounted prices! I found mine by the registers. I do shop at Marshalls. My favorite dept is the Men’s formal wear. Yes, I shop at Marshalls. I like the Women’s department. I do shop at Marshalls and love the woman’s clothing dept. I do shop there and like the shoe dept. My daughter gets a lot of her tops at Marshalls! yes I shop there and I like the clothes dept. It’s been a while since I’ve been there, but it’s a neat store. I do shop at Marshall’s. The women’s clothing is my favorite section. I used to shop at Marshall’s all the time, but it’s been a few years since my last visit.